Passenger aircraft whose cruising speed (2,300 km/h) is faster than the speed of sound (1,152 km/h). 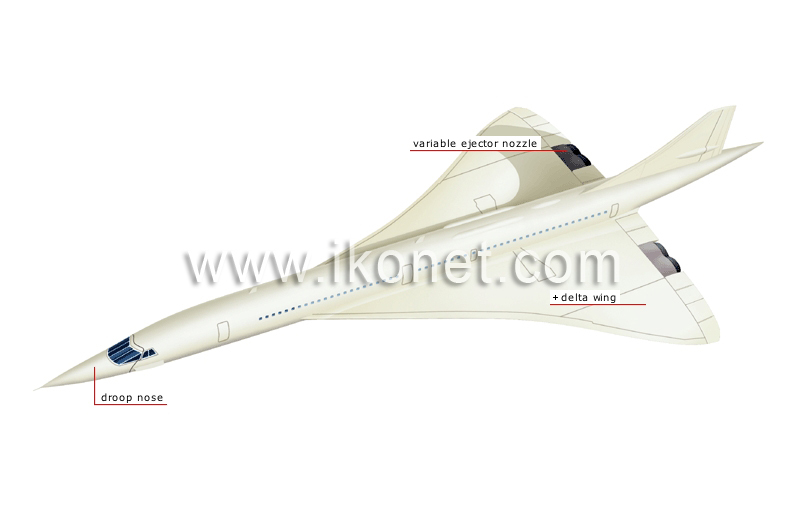 The Concorde was the best known commercial aircraft of this type. Duct whose mouth widens as the plane climbs, thus enabling the engines to increase output. Articulated nose that is lowered on takeoff and landing to provide the pilot with better visibility.